Kayapo cover story in National Geographic! 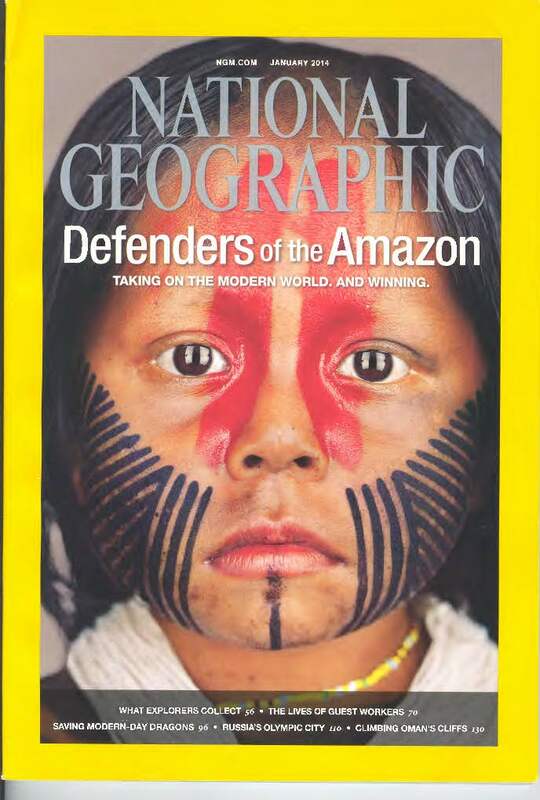 December 23, 2013 — ICFC's flagship program receives world attention through a cover story ("Defenders of the Amazon") on the Kayapo in the January 2014 issue of National Geographic. And see the online companion article, Rain Forest Warriors: How Indigenous Tribes Protect the Amazon by ICFC's Barbara Zimmerman.